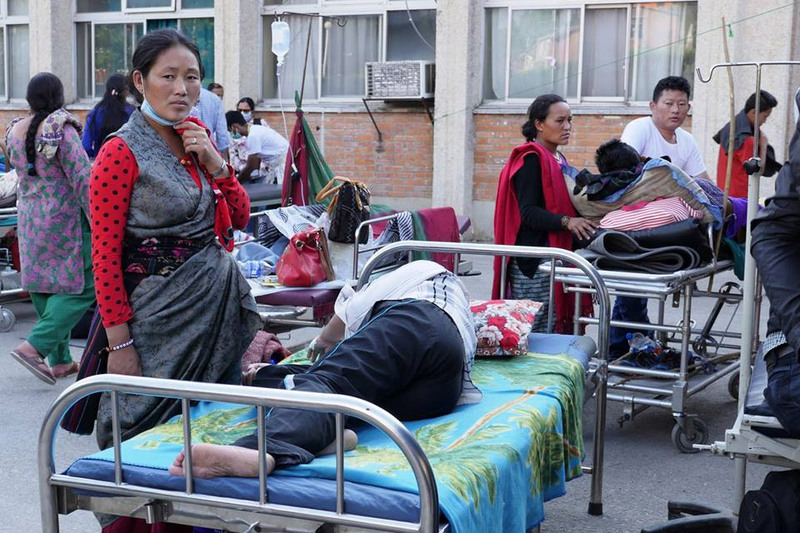 Several hundred health facilities have been completely destroyed while around 500 were damaged in the Great Earthquake, according to the Ministry of Health and Population. A majority of the hospitals, health posts and Primary Health Centres have been destroyed in Sindhupalchok, Nuwakot, Ramechhap, Gorkha and Dhading districts. Some major private hospitals, including Grande and Norvic, have already got green mark from the authorities, meaning that they can function normally. The Green City Hospital in Basundhara has got a yellow card, meaning that it should be used only after repairs.